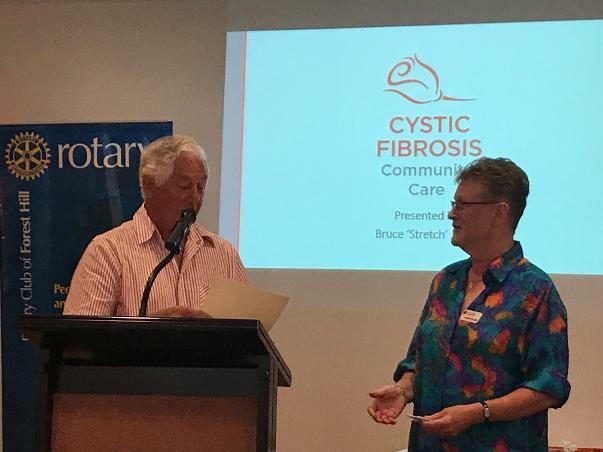 We inducted Barbara Williams into our Rotary club on Monday 5th February. She has been an active supporter for our projects over many years. Particularly, she helps cook the weekly breakfasts for Forest Hill College every Tuesday morning and is always a reliable helper at our monthly sausage sizzles we run during the Whitehorse Sunday market and Blackburn Saturday market. 2017 BBQ get together at the Finke's for our traditional 1st meeting each New Year. 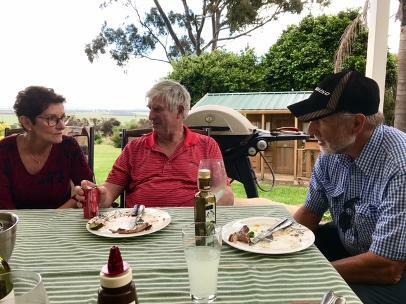 On a beautiful sunny Fri 17th Nov 2017, a group of club members, partners, a past member and friends drove down to Hidden Springs nr Inverloch for a BBQ and catch up with the Davis brothers Roger, Peter and Gary. They are fantastic supporters of our club funding scholarships for young people that need support in their education at school and in their trade. 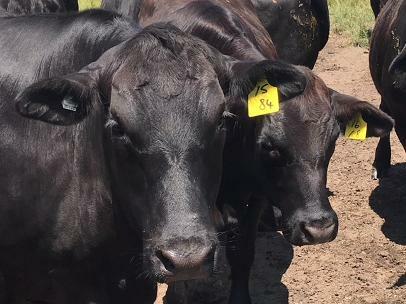 A great social get together and to see their Brangus cattle and their "extensive" fruit orchard. 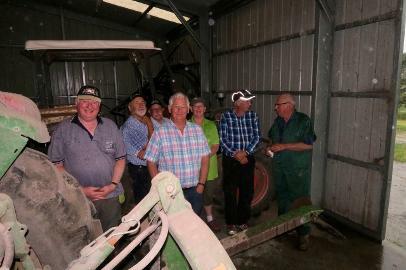 We had the traditonal visit to see the shed full of old mainly Fordson tractors. 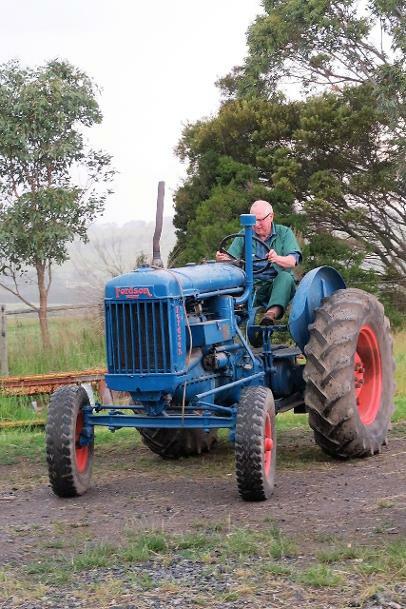 A couple were started up and driven, even in the rain by Roger and Peter (the mechanical wizard). And boy, did it rain. Suddenly out of nowhere the heavens opened and we had 17 mm of rain in just 20 mins including hailstones and high winds. Society benefits greatly from such wonderful people like the Davis brothers, their partners and of course their amazing father Ford and mother Eve who sadly are no longer with us. 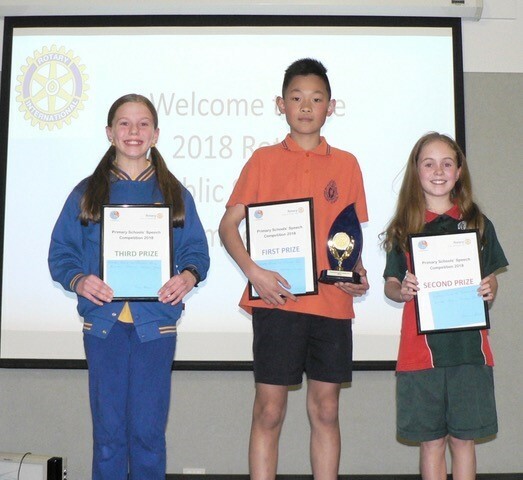 Robbie, Martine and Ron volunteered to help RYDA, Rotary Youth Driver Awareness, at Box Hill Institute Lilydale 13th June 2017. Over 170 students from Vermont Secondary College participated in six interactive workshops and demonstrations to help young adults make better, safer choices when getting into a vehicle. A big thank you to RC of Lilydale in providing the other 3 volunteers. 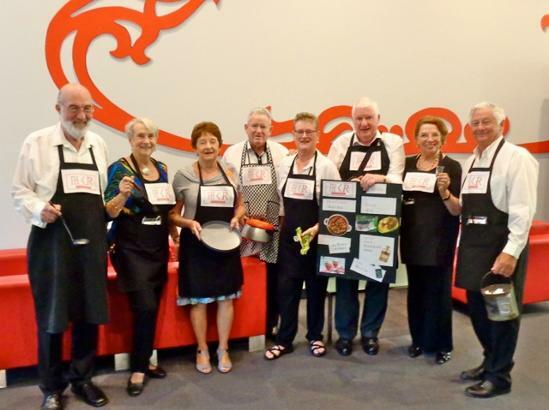 A great example of combining with another club for the community good. On a warm sunny Saturday in February, 17 of us drove down to Ocean Grove for what is now turning out to be an annual event. Catering was spread around among the participants both in the supply and consumption. Most of us then went down to the beach to walk off the lunch. Hot enough to swim but there were no takers. Thanks Kathy & John for a wonderful day. 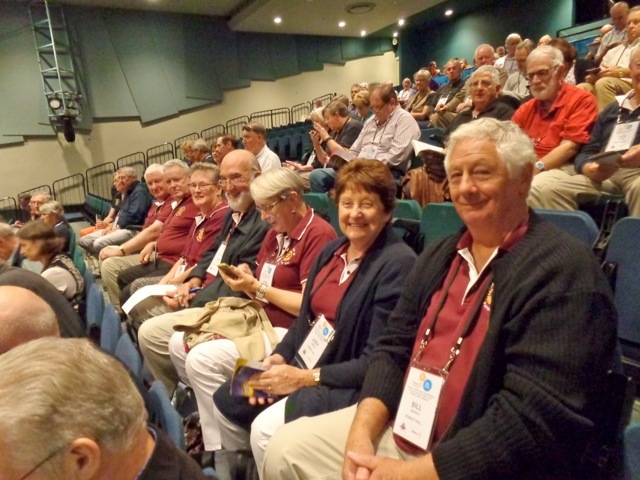 (with 15 of us at the previous night's Peridot "The 39 Steps" it has been a very social weekend for the club. 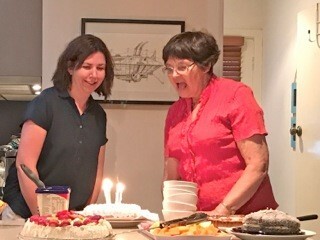 A double birthday to celebrate. Our second SAUSAGE SIZZLE GIVEAWAY this year, courtesy of Melbourne Metro, was at Blackburn station on Wed evening 1st Feb (see photos below). We cooked and gave away 800 sausages and 200 veggie burgers mostly smothered in onions and sauce. What a greeting to the tired commuters on their way home. 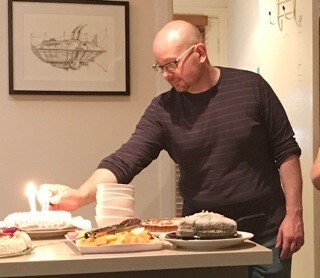 We ran the operation from 4pm until 7pm. Great fun for the Rotarians and partners who sliced and cooked & constructed the FREE FEED while the commuters with the last of their energy sauced their snack. Some came back for seconds. One guy recycled himself through the queue FOUR TIMES!! All good fun with some of the Metro staff joining in the food give away while many workers and police joined the food queue. Didn't have to ask him if they were good or not. 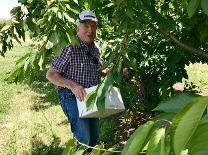 Our Annual visit to club member Chris Tuck's cherry orchard at Alexandra is always very popular as he lets us all "pick our own" from his 500 trees. Once again it was a beautiful day for the BBQ. Don't think that red liquid was really cherry juice. 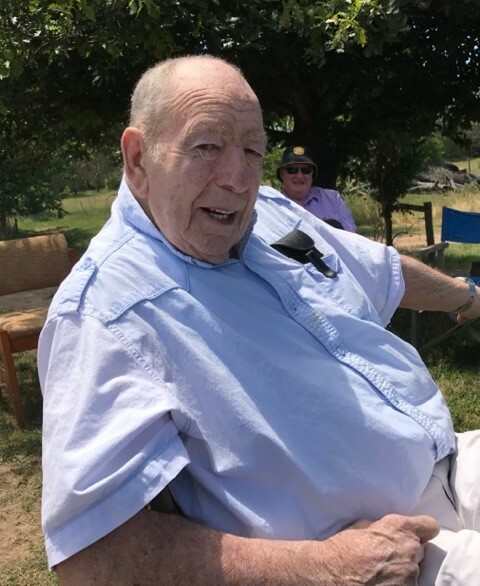 Happily, honorary member Don Hulland was able to join us. 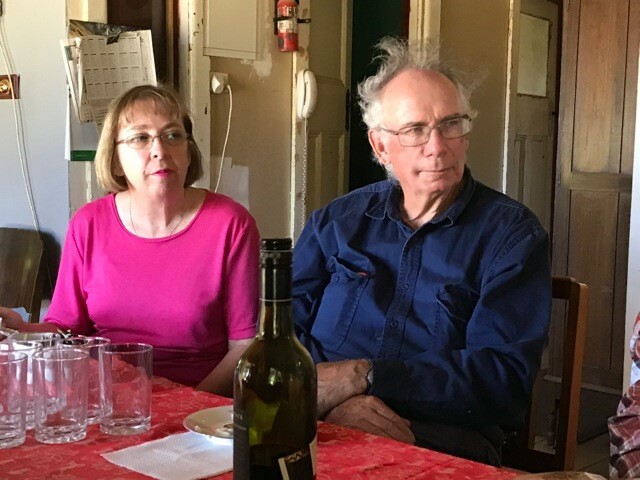 Judy & Chris "farmer" Tuck relaxing after the RC of Forest Hill onslaught. 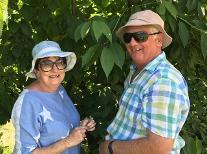 Bill & Judy Marsh posing before the serious picking job starts. On 7/4/16 sight impaired children from Vision Australia had their inaugural visit to Blackburn Lake Sanctuary to take part in a Bush Experience program. 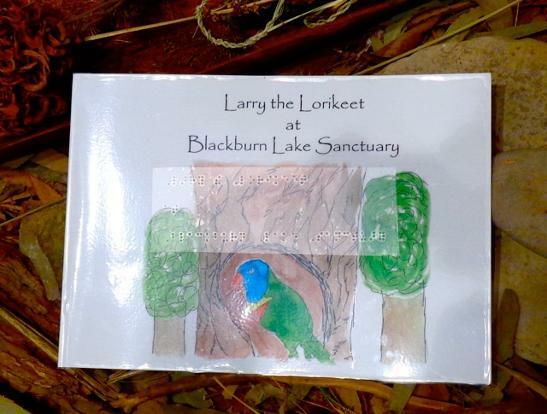 As part of the program the small children's booklet, our old friend Larry the Lorikeet, now produced in Braille, was used. 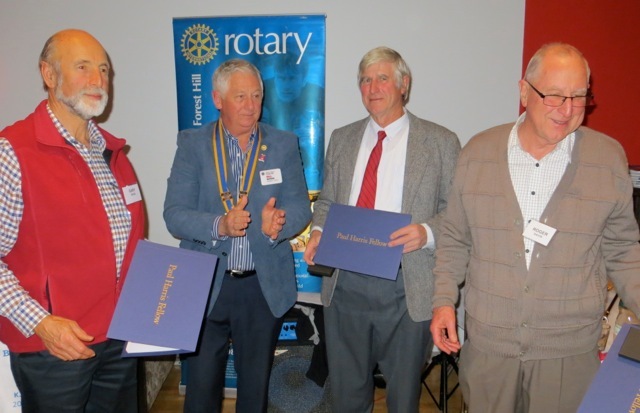 Larry was a Youth Service Project in 2014, initiated by the Rotary Club of Forest Hill and with support from Whitehorse Council. It featured writing and art skills from talented local secondary school children. Larry was produced to support an environmental education program at the Lake. The book features a homeless Larry, looking for friends and a permanent home in the wild. Now Vision Australia children can share his travels, via the braille edition. Close up of Larry in Braille. Larry was produced in 2014 by the RCFH. He still flies at Blackburn Lake Sanctuary and in schools throughout Whitehorse. Now the vision impaired children will also enjoy him. The book of Larry is used in conjunction with hand puppets. The first Vision Australia group of pre-school children enjoyed Larry and other delights at BLS this month. 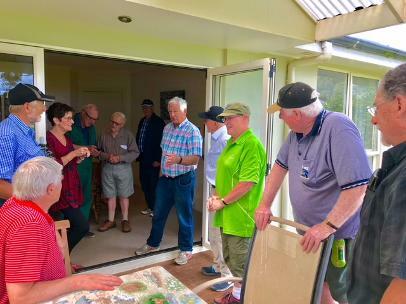 A group of Rotarians, partners, honorary members and friends spent a happy couple of hours touring this local facility, listening to a 45 min jazz concert and finishing with lunch. Aren't we lucky to have the Australian museum on our doorstop in Vermont. Over 60 of us rode 651kms over 6 days of riding. Starting in Ballarat we headed for Ararat, then had further nights in Horsham, Hamilton, Warrnambool and Colac before returning to Ballarat.. 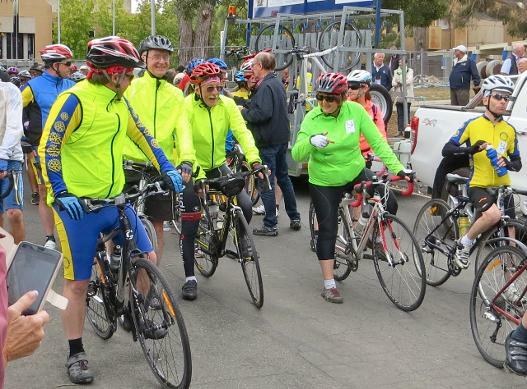 The reason we ride is to raise money for Australian Rotary Health. We have almost made the ONE MILLION DOLLAR mark since starting these rides over 25 years ago.